Ricky Henderson was inducted into the Hall of Fame in 2009. Few have deserved the honor more. Just ask Ricky. Ricky will also tell you he was the best Christmas present Major League Baseball ever received. He was born in Chicago on Christmas Day in 1958. 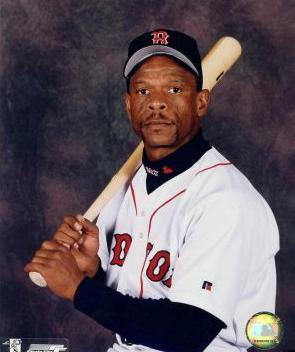 The all-time leader in stolen bases, runs scored, and walks, he played for the Red Sox during the 2002 season, when he was 43-years-old. He hit .223 as that team’s fourth outfielder, appearing in 72 games and stealing just two bases. He then played for the Dodgers the following season, which turned out to be his last year in the big leagues. In all, Ricky played the game for 25 big-league seasons and wore nine different uniforms doing it. He ended up hitting .279 lifetime and garnered 1,406 stolen bases. His career stolen-base mark will be a tough one to surpass. Number two on the list is Lou Brock who stole 938. The closest active player is Juan Pierre, who played for the White Sox last season and now has 554 career steals. Boston’s Carl Crawford is currently next among active players with 427.